Heat Transfers provide a solution to some common problems with other methods of production. You see it almost everywhere in the world of sports because of this. However, athletic garments aren’t the only thing you can produce with heat transfers. There are a variety of materials used to produce products with this method. Metallic and holographic foil, rhinestones, and glitter materials in various colors can be used to bring your products to life. Adhesive and heat are the key components to heat transfers, so this method opens up a wide range of possibilities. Much like the other production methods we offer, heat transfers aren’t limited to only a few certain types of garments. 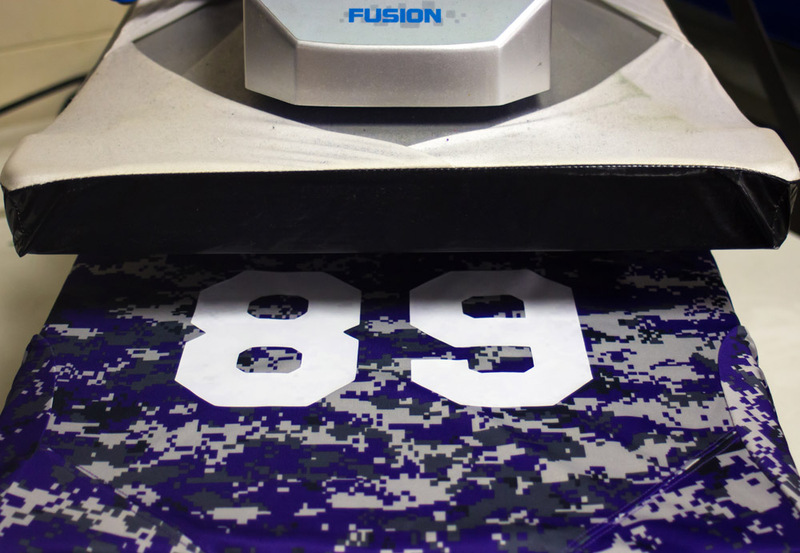 Shirts, jerseys, hats, and even footwear can be customized with this method. It can also be used to supplement one of the other processes, producing a completely custom, polished (even shiny) product.